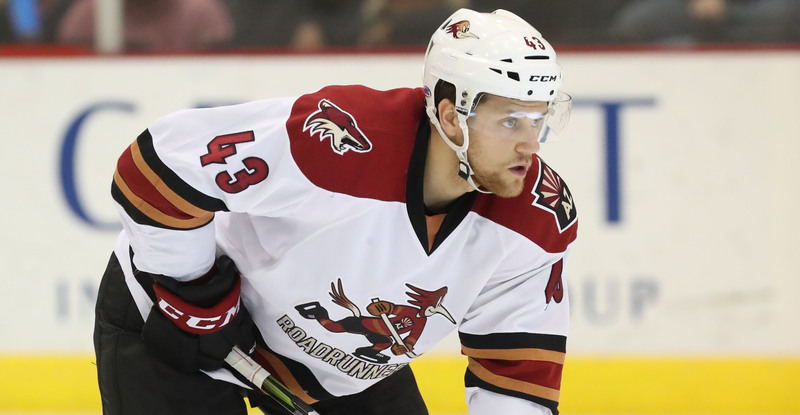 GLENDALE, ARIZONA – Arizona Coyotes President of Hockey Operations and General Manager John Chayka announced today that the Coyotes have recalled defenseman Dakota Mermis on emergency recall from the Tucson Roadrunners, the club's American Hockey League (AHL) affiliate. The 24-year-old Mermis has registered 2-17-19 with 45 penalty minutes (PIM) in 57 games with Tucson this season. The rookie defenseman played in seven games with the Coyotes earlier this season. The 5-foot-11, 196-pound native of Alton, Illinois has recorded 7-37-44 and 178 PIM in 187 career AHL games with Tucson and Springfield. The Roadunners host the Grand Rapids Griffins for the first time this season on Friday and Saturday at Tucson Arena. Tickets for both games, including Saturday’s Superhero Night presented by Banner Health, are on sale now HERE. For more information on the club, call the team’s office at 866-774-6253 or visit them at 175 W. Broadway Blvd. in Tucson.